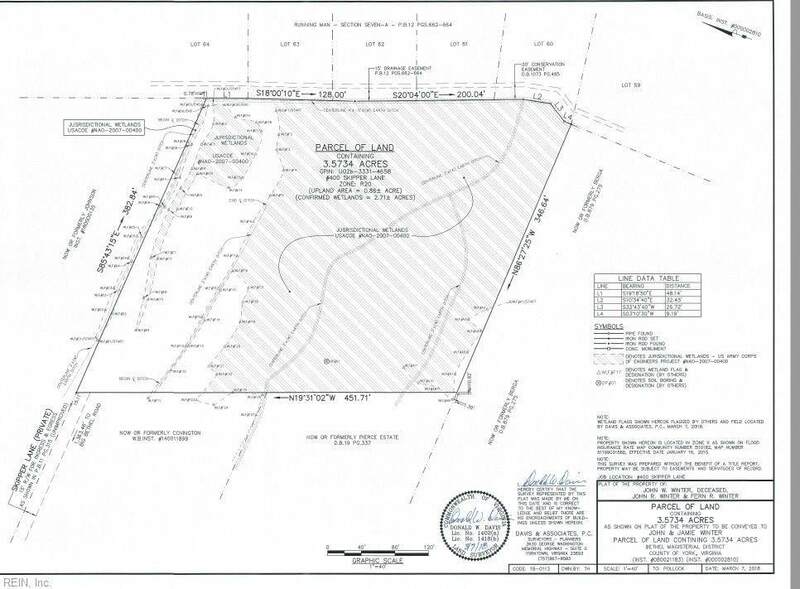 Finally a great piece of land in the Tabb area of Yorktown! 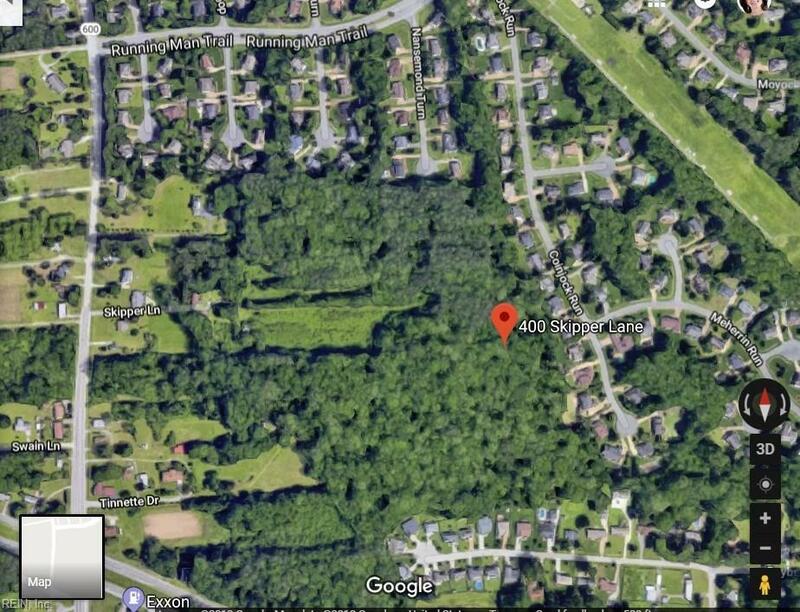 Build your home right where you want to live but with the privacy of 3.56 acres. 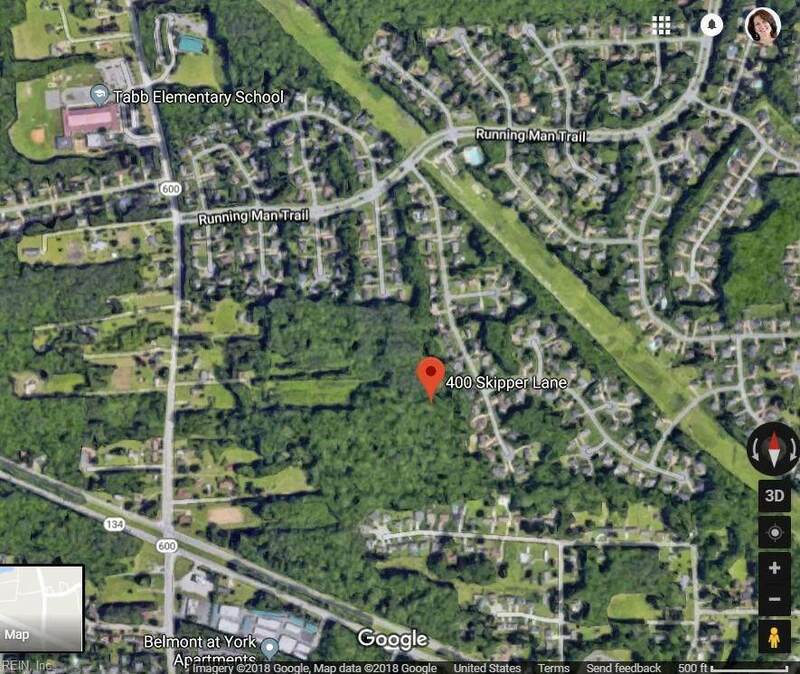 Found near the junction of Magruder Blvd and Big Bethel Rd at the end of Skipper Lane; a private lane that offers a deeded easement to this lot. At this time the lane is a bit overgrown so please call before visiting the property. The back of this property runs along the Running Man community. There is plenty of room for a home AND a separate workshop/detached garage/warehouse. Do you own a business and want to warehouse your equipment or house your toys? Do you want a big yard for kids, animals, or entertaining? Do you want enough property to feel like you can breathe, while still being able to get to everything you want quickly? Then this is the property for you. Survey completed, Corps of Engineers report completed, a proposed plan for water and sewer access has been set in motion. Call now!